Alexis Weedon joined up with Julia Knight and Samantha Lay to do a pilot study of how contemporary media paratexts influence readers' and viewers' selections of films, games and books. The study of was done though a questionnaire and diary. Knight, Julia. Lay, Samantha.Weedon, Alexis. Digital film and cross-media influences (accessed May 2009). A.E.W. Mason was the British author of a detective story At the Villa Rose. 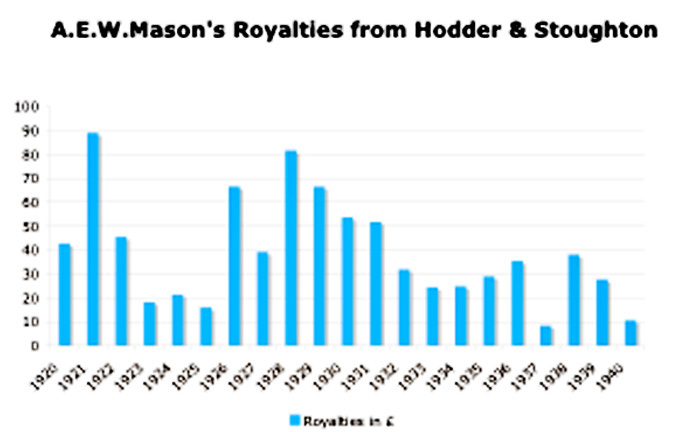 Mason’s work suggests we should be looking for broader correlations between an author’s books and the film adaptation. 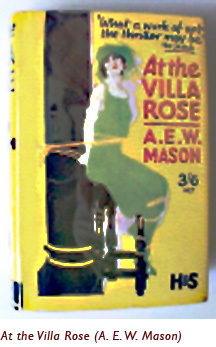 Three of Mason’s other novels were adapted into films and released within two years of ‘At the Villa Rose’. ‘The Four Feathers’ (1929), ‘The House of Arrow’ (1930) ‘The Flirting Widow’ (1930). Evidence of film viewing shows that two of these films were shown in cinemas within months of each other. 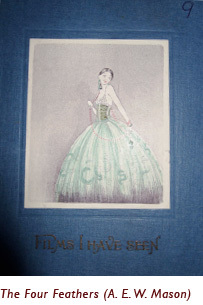 ‘Mrs Wilton’ records seeing ‘The Four Feathers’ in May and ‘At the Villa Rose’ in September 1930 and there was a radio adaptation broadcast in May 1930 as well.